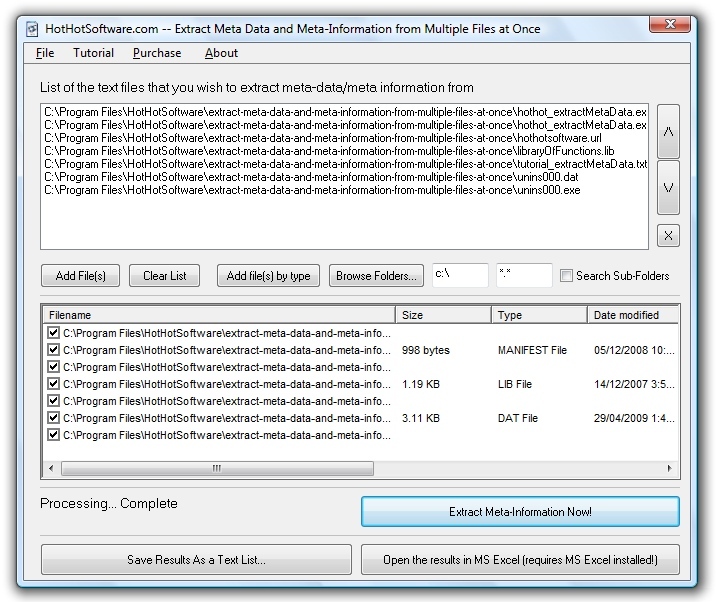 Extract Meta Data and Meta-Information from Multiple Files at Once! 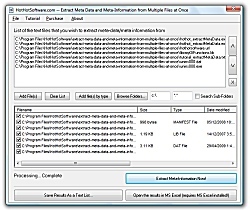 Once downloaded, simply run the extractmetadataeval.exe file, and then simply follow the instructions to begin using it. Enjoy! This software runs on Windows 98/2000/XP and Windows Vista.